Good morning! Doesn't that look yummy for breakfast? Last week I made red velvet cupcakes for Valentine's dinner. I use buttermilk in my recipe, but then I always have a lot of the quart left over. (I should have just done the milk and vinegar substitution.) Does this happen to you? I'm on a mission to waste less these days and to use what's in my pantry before it goes bad. It seems we always have a pantry full, and never anything to eat. Does this sound familiar? I purchase ingredients for dishes that sometimes don't get cooked, especially at the holidays, and then I have these odd things left over in my pantry. Back to the buttermilk. I searched for recipes that use buttermilk. I found a jackpot at Pink of Perfection. Seems like she's had the same problem I've had. 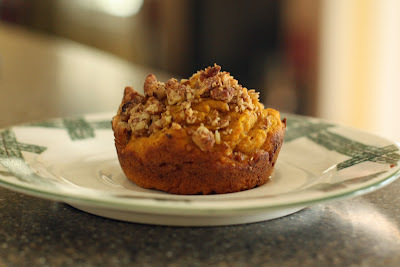 I decide to try out the recipe for pumpkin pecan muffins, also at Pink of Perfection. This one would use up some pumpkin in my pantry and pecans from the freezer. Score! Preheat oven to 400 degrees F and drop 12 muffin wrappers into the cups of a muffin baking sheet. Melt butter in a medium-sized bowl. 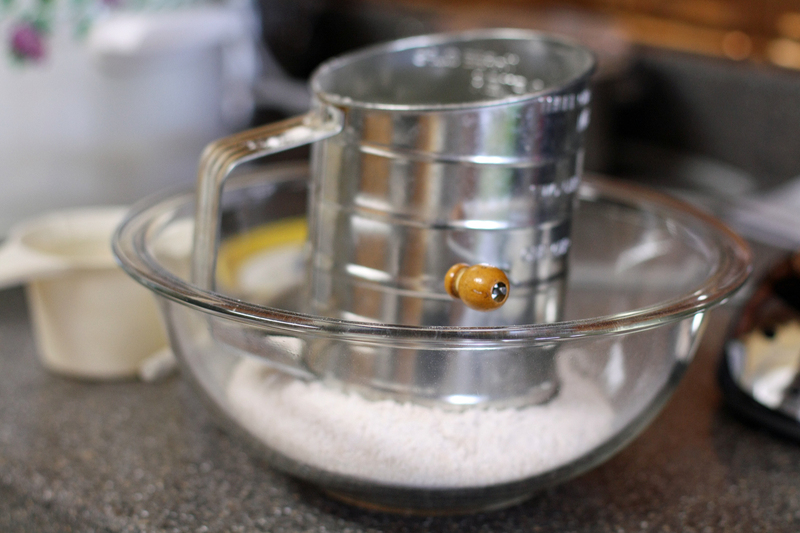 While the butter is cooling, sift together flours, baking powder, spices, salt, and baking soda. Stir in brown sugar. 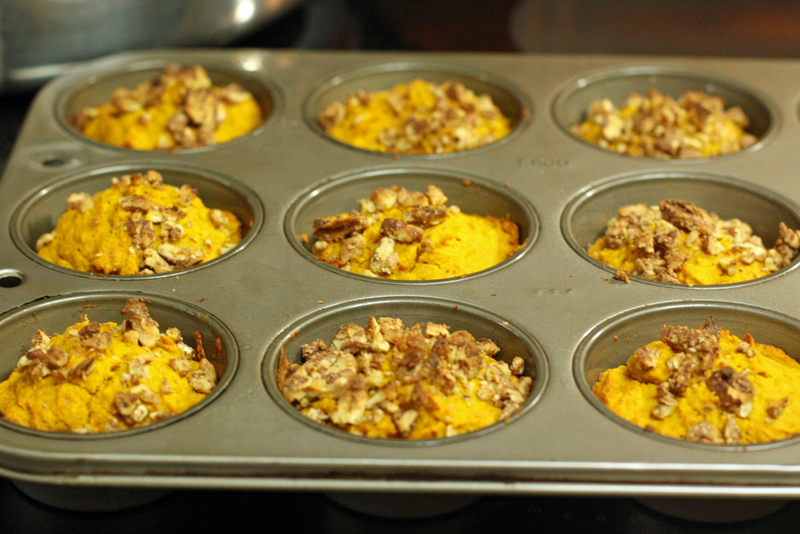 In the butter bowl, mix in buttermilk, pumpkin, eggs, molasses, and vanilla. Add the wet ingredients to the dry ingredients and stir until just combined. 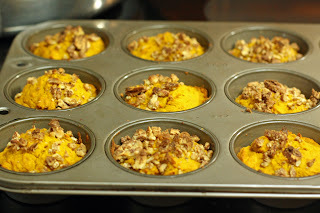 Divide evenly among muffin cups and sprinkle with chopped pecans. I didn't have molasses so I left it out. I'm sure mine are not as flavorful, but still enjoyable. There was no bake time in the recipe. I baked mine for 22-25 minutes. Here's another link to more buttermilk recipes.